The latent heat released in the clouds over the tropics plays a vital role in driving the Hadley circulation (HC). The present study discusses the influence of latent heating (LH) on the HC parameters viz., centre, strength and total width by using precipitation LH profiles derived from the space-borne observations of the Precipitation Radar (PR) onboard Tropical Rain Measuring Mission (TRMM) and meridional stream function (MSF) derived from ECMWF-Interim reanalysis. The latitude of peak latent heating, width of the latent heating distribution and the total LH released within the ascending limb of the HC are estimated and their influence on the HC centre, strength and width is quantified, for the first time. The present results show that the latitude of peak LH significantly influences the position of the HC centre with correlation coefficient of ~ 0.90. This high correlation between these two quantities seems to be due to their co-variability with the apparent motion of the Sun across the latitudes. The intensity of the HC in the NH as well as SH shows high correlation with the latitude of peak LH with coefficients − 0.85 and − 0.78, respectively. These results indicate that farther the latitude of peak LH from the equator in the summer hemisphere, stronger is the HC intensity in the winter hemisphere. The present analysis also reveals that the total LH released within the ascending limb of HC substantially influence the total width of the HC, with correlation coefficient ~ 0.52, as compared to the other two LH parameters. This observation can be attributed to the fact that the HC is sensitive to the latent heat release in the mid-tropospheric levels in the tropics. An attempt is also made to investigate the degree of variability of these parameters after deseasonalization and results are discussed in the light of present understanding. 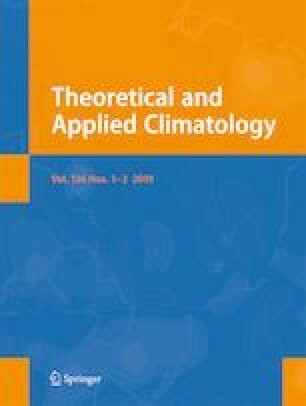 The significance of the present study lies in providing the observational evidence for the influence of latent heating on the HC strength/width variability, quantitatively, for the first time using TRMM observations of precipitation latent heating. The authors are thankful to the TRMM team for providing the spectral latent heating product (3H25-v7) in the public domain. The authors are also thankful to ECMWF for ERA-I dataset. Sneha Susan Mathew gratefully acknowledges the financial support and research opportunity provided by Indian Space Research Organization (ISRO) for her work.